Four-time GRAMMY nominee Hunter Hayes is a Louisiana-born, Nashville-based singer, songwriter and multi-instrumentalist who roared onto the music scene in 2011 with his Platinum-selling, No. 1 self-titled debut album on Atlantic Records. With three No. 1 singles already under his belt (including the multi-Platinum smash “Wanted,” “Somebody’s Heartbreak,” and “I Want Crazy”), Hayes delves into deeper material on his new album, Storyline. The emotional lead single “Invisible” resonates with fans across the globe and new single “Tattoo” is already warming up the airwaves at Country radio. Hayes is currently headlining shows across the U.S. and Canada. 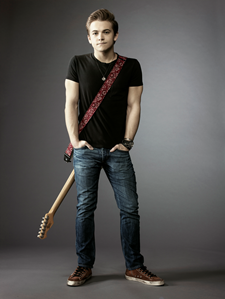 For more information, visit www.hunterhayes.com. The guys of MKTO, comprised of Tony Oller (22) and Malcolm Kelly (21) instantly became best friends when they met on the set of Teen Nick's Gigantic in 2010. In-between takes, however, the duo couldn't stop talking about one thing, making music. They linked with Eman and Evan “Kidd” Bogart (Beyoncé, Ne-Yo, Rihanna) who inked them a deal to Columbia Records and began executive producing their self-titled debut album. MKTO have seen international success with top 10 singles in the US, Australia and New Zealand, building a loyal fanbase and amassing over 2.2 million in record sales worldwide. MKTO includes the band’s anthemic debut single “Thank You,” and the platinum-selling soulful/pop single “Classic” which recently hit #14 on the Billboard Hot 100. The music video has amassed over 22 million views on YouTube/VEVO. MKTO recently embarked on their first headlining tour, hitting 36 cities with appearances on Live With Kelly and Michael, The View and Good Morning America. In September 2014 they will hit the road with Demi Lovato on her fall arena tour. Island Records’ most recent signee dropped his first single “Life of The Party” earlier this summer, hitting #1 on the iTunes charts within 90 minutes and top 10 in 33 countries. The 15-year-old singer-songwriter, whose videos have amassed over 13.2 million YouTube views and 2.5 million followers on Vine, will be releasing his debut EP on July 21st before joining Austin Mahone, The Vamps and Fifth Harmony on tour. In less than one year since he first began posting covers songs on Vine, Shawn Mendes has become one of today’s most buzzed-about young artists, beating over 30 young YouTubers to win RyanSeacrest.com’s “Best Cover Song” contest. He’s accumulated over 13 million YouTube views as his clips have spread across every online social outlet imaginable. 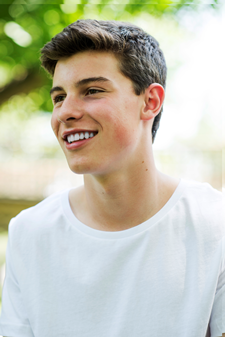 Heading into the summer, Shawn’s just getting started, writing and recording his own music and growing into one of our brightest new stars. 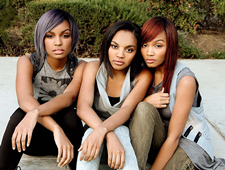 Formerly known as The McClain Sisters, Sierra, Lauryn and China Anne McClain were born and raised in Atlanta, Georgia and have grown up in a house filled with music. They formed their singing trio at the tender ages of nine, seven, and five and have since performed at the 2012 White House Easter Egg Roll and at the Houston Rodeo for over 78,000 people. They’ve appeared on Disney Channel’s hit series A.N.T. Farm and in Tyler Perry’s film Daddy’s Little Girls. Their single “Rise” has over 12 million views on YouTube/VEVO while their current release, “He Loves Me” is a chart smash on Radio Disney. Along with their strong sense of spirituality, these singing sisters believe that their love for music, entertainment, and—even more so, each other—can inspire audiences all around the world. At just 15, Madison Beer has solidified herself as one of the most promising up-and-coming talents in music. Hailing from Long Island, New York, she first gained recognition on YouTube in 2011 and quickly became a viral hit—garnering more than 10 million page views to date. Manager and media mogul Scooter Braun and pop R&B sensation Justin Bieber took notice, signing Madison to a management deal. Her first single, “Melodies”, was released on Island Def Jam in September, 2013 and the video has 7.1 million views to date on VEVO. In June, 2014, Madison released her second single and music video for “Unbreakable”, produced by the team responsible for Demi Lovato’s “Let It Go.” The music video has already generated more than 2 million views on VEVO. Madison currently serves as a Brand Ambassador for Ralph Lauren’s global child literacy initiative and recently launched a social good campaign on Twitter called #Madkindness, encouraging teens to get involved with and create new charitable opportunities in their communities. Salerno is a 17-year-old DJ, EDM producer & guitarist, that has performed with some of today's biggest stars in front of thousands of fans across the country. One of the most promising up-and-coming DJs on the electronic dance music scene, he has opened or closed for such giants as Hardwell, Martin Garrix and Danny Avilla. Salerno is currently Reality Dance TV's resident DJ on the nationwide Jam Tour and hosts the weekly EDM radio show RAGE RADIO. He’s fast becoming one of the hottest young DJs on the EDM scene, performing sets in some of the biggest clubs in the world, from Pacha NY to Nokia Theater in L.A. to Confession & Gusto in Aruba. 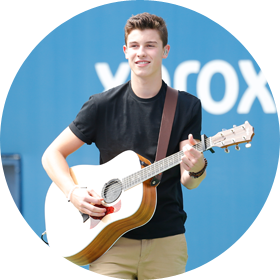 He is also an accomplished guitarist and has toured with Jax, Maddi Jane, IM5 and Coco Jones. He was the Camplified's resident tour DJ in 2011 & 2012 and has performed with Justin Bieber, Jonas Brothers, Selena Gomez, Ke$ha, Paramore, Girl Talk, Cody Simpson, Miranda Cosgrove and Big Time Rush. 15-year-old singer and actress China Anne McClain made her major motion picture debut in the 2005 film The Gospel alongside Boris Kodjoe and Idris Elba and went on to land co-starring roles on TBS’s Tyler Perry’s House of Payne and in the Adam Sandler feature franchise Grown Ups. That same year, she was featured on the JONAS L.A. soundtrack singing “Your Biggest Fan” with the Jonas Brothers. 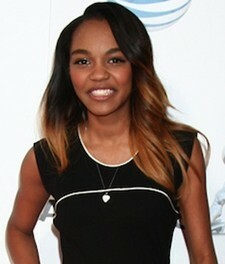 In 2011, McClain landed a starring role in the Disney Channel original series A.N.T. Farm and appeared in the in the Wizards of Waverly Place trilogy, Wizards vs. Angels. A member of the pop trio McCLAIN with her sisters Sierra and Lauryn, China Anne has seen chart success while honing her unique musical gift. She recently appeared on the ABC celebrity reality competition show Sing Your Face Off, where she captured first place and also stars in the upcoming Disney Channel original movie How To Build A Better Boy, premiering August 15th. 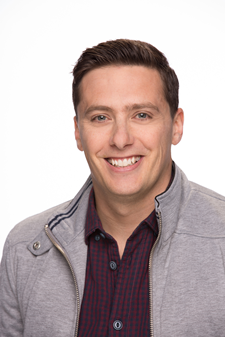 Jeff Sutphen has a great talent for creating shows that engage kids and teens, whether he’s behind the camera or in front of an audience. As host of Nickelodeon’s Figure It Out, Sutphen brought high energy and laughs, challenging celebrities to guess kid contestants’ unique talents and skills. Prior to Figure It Out, Sutphen hosted all three seasons of Nickelodeon’s Emmy-nominated hit BrainSurge, for which he also served as a producer. He hosted the ABC summer game show 101 Ways to Leave a Game Show from the producers of Wipeout and has most recently been appearing at baseball games across the country for Nickelodeon in association with Major League Baseball. Jeff continued his role as co-host of Nickelodeon’s “Orange Carpet” at the Kids’ Choice Awards and he’ll next appear at Nickelodeon’s first ever Kids’ Choice Sports Awards 2014. 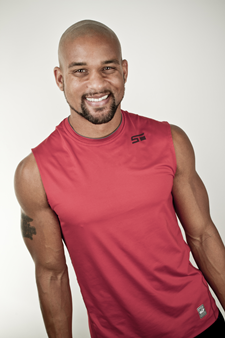 Shaun is a world-renowned health and fitness expert and creator of the bestselling at home fitness programs INSANITY, Hip Hop Abs and FOCUS T25. He is a native of New Jersey, receiving a BS in Sports Science with a minor in Theater and Dance from Rowan University. He’s shared the stage alongside Val Kilmer in the musical version of The Ten Commandments, appeared in Pippin and Applause as well as Six Feet Under and the feature film Beauty Shop. He’s danced with Mariah Carey, Aaron and Nick Carter, choreographed for the NCAA Final Four Halftime Show and the movie Bring it on: All or Nothing. 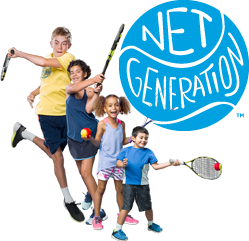 In creating programs for adults, he recognized the need to fight childhood obesity by developing programs for kids and preteens to get into shape. Shaun’s passion is focused on affecting positive lifestyle changes in people across the world and proving that becoming the best version of yourself is attainable. World No. 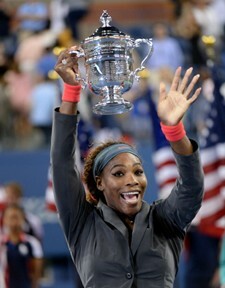 1 and defending US Open champion Serena Williams recently won her 61st WTA singles title at the Emirates Airlines US Open Series event in Stanford. At 32-years-old, she owns 17 Grand Slam singles titles including the US Open in 1999, 2002, 2008, 2012 and 2013. Along with Margaret Court and Martina Navratilova, she's just the third player in history to win the career grand slam in both singles and doubles. With four Olympic gold medals, she's also the only player, male or female, to achieve the golden career grand slam in singles and doubles. She's won US $56 million in prize money, first all-time among women athletes, and was recently named one of TIME magazine's 100 Most Influential People. Serena is a long-time favorite at Arthur Ashe Kids' Day and leading philanthropist and humanitarian in her own right, appearing on behalf of the Serena Williams Foundation. World No. 1 and former US Open champion Novak Djokovic of Serbia is also considered to be one of the greatest tennis players of all time. He has won seven Grand Slam singles titles throughout his career, including the 2011 US Open, and captured the Wimbledon title last month. Djokovic has captured 45 singles titles throughout his career, spent more than 100 weeks at the top of the rankings and earned over $65 million in prize money. Djokovic has received numerous awards including the 2011 Laureus World Sports Award for Sportsman of the Year, 2012 Best Male Tennis Player ESPY Award, and the 2011 and 2012 ATP World Tour Player of the Year. 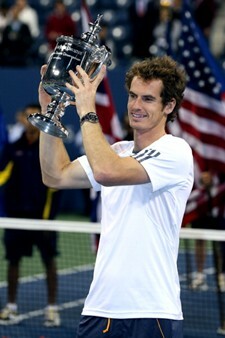 Former US Open champion Andy Murray first gained notice in 2004 after winning the US Open junior title. After achieving the No. 2 ranking in 2009, he went on to win a gold medal in singles and bronze medal in mixed doubles at the 2012 London Olympics. Murray then followed up that result by winning the 2012 US Open and 2013 Wimbledon men's singles championships. The 27-year-old Brit was voted BBC Sports Personality of the Year in 2013 and became just the sixth man in tennis history to earn over $30 million in prize money. He has won 28 titles throughout his career and has reached at least the quarterfinals of the last 14 Grand Slams he's played. 24-year-old Belarusian Victoria Azarenka first gained notice in 2005 after winning junior championships at the Australian Open and the US Open, finishing the year as the No. 1 junior in the world. In her professional career, she’s won 17 WTA singles titles, including Grand Slam championships at the Australian Open in 2012 and 2013, and reached the No. 1 ranking in 2012. She’s also a two-time finalist at the US Open and won the bronze medal at the 2012 Olympics in London. In doubles, she owns 6 career titles and has won doubles championships at Roland Garros and the US Open, as well as an Olympic gold medal in mixed doubles. The former world No. 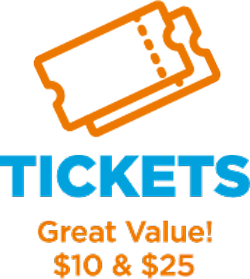 1 will be appearing in the Arthur Ashe Kids’ Day stadium show for the first time. 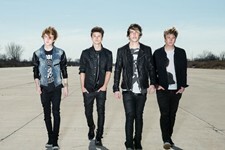 Hollywood Ending is a pop-rock band formed in Summer 2011 consisting of Tyler Wilson, Cameron Byrd, Dan Geraghty and Chris Bourne, all 18-21 years old. Hailing from different parts of America and even the U.K., they met on Skype and came together with a shared dream of becoming big in the music industry. 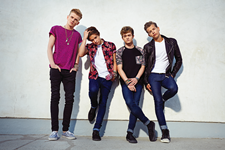 They’ve appeared on many tours in the United States, Canada and Europe opening for artists like The Janoskians, Austin Mahone, R5, Allstar Weekend and many more. They’ve also headlined tours across the U.S., Canada and recently, Japan. They independently released their debut EP “Always 18″, without any promotion from a record label and it charted at #11 on the iTunes Pop and landed them on the Billboard Heatseekers chart as well. They’re now buckling down working on their first full length release, writing/producing/recording the new songs all by themselves. You can expect great things to come from these boys. They’re just getting started! Together, Northern California twosome Kalin & Myles stir pop, hip-hop and R&B into an irresistible and inimitable hybrid affectionately and appropriately dubbed "Hip Pop". On their debut EP for Republic Records, Chase Dreams, Kalin & Myles steer pop music down their own lane. Showcasing their identity, the first single "Love Robbery" glides along on magnetic production fortified by a smooth R&B spirit and a soaring refrain. It quickly racked up over 700,000 views on YouTube and laid the groundwork for Chase Dreams summer 2014 release. In April 2014, they inked a deal with Republic Records for the release of Chase Dreams following two independent EPs and sales of nearly 200,000 digital singles. On Twitter, they’ve generated over 20 trending topics and soared from 50K Vine followers to 250K, selling out every date of their Chase Dreams tour. Ultimately though, Kalin & Myles want everybody to follow their own Dreams. Zach Matari, the "New" Jersey Boy, is a teen Pop/R&B sensation whose recent single "Up To You" he wrote and co-produced with GI Joe. He’s performed at famous venues such as The Stone Pony & The Bitter End and at Bamboozle opening for Paramore, Weezer, MGMT, Motley Crue, Bruno Mars and Bon Jovi. He’s also performed with New Edition at the Nokia Theater in LA and at the Mountain Winery in Saratoga, CA. Zach has been touring the country with artists such as R5, Fifth Harmony, Midnight Red and Mario, garnering more and more recognition with his nostalgic style of music and dance. 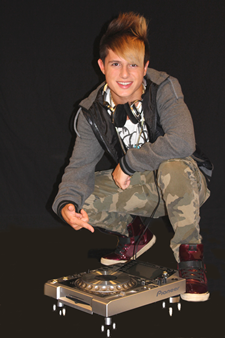 Recently, he toured the Tri-State area and New England with the Teen Nation Tour. He also toured the Dominican Republic last fall, where he was featured on TV and radio shows throughout the country. Zach’s debut album is planned for release later this year and includes production from Fred Jerkins III, Alvin Garrett and Ivan "Matetraxx" Chevere. Boston’s own Karina Rae links with Grammy and BET Award-nominated producer Surefire Music Group on her first single release, “Round & Round.” At only 15 years old, Karina Rae has performed at Playlist Live 2014 in Orlando, FL and is currently part of the national Jam Tour presented by Reality Dance. She also recently completed her first local tour where she performed at various venues throughout New England, NY, NJ and PA, opening for artists such as Ryan Beatty, Midnight Red, Jillian Jensen and IM5. Karina Rae was selected to sing the National Anthem at Fenway Park during the July 3rd Red Sox vs. Padres game and has been featured in publications such as El Mundo. She is currently in the studio writing and recording more music. Under the development and direction of Grammy-nominated producer Allstar, thirteen-year-old New York and New Jersey boys The Bomb Digz (Devin Gordon, Kevin Alston and Lucas Perry) have created a firestorm as they set out to be the young Bruno Mars, Justin Bieber-meets-LMFAO & Pitbull. Individually, these boys have been featured in international modeling campaigns as well as Beyoncé’s original “Let’s Move” campaign for First Lady Michelle Obama. They’ve appeared alongside Mindless Behavior, Jacob Latimore, Bella Thorne & R5 and performed at NY Presbyterian Children’s Hospital, Hershey Park, The Gramercy Theatre, Trump Plaza and NJ State Fair at the Meadowlands, just to name a few. The members of The Bomb Digz are passionate young performers who have been igniting a fire in the entertainment industry for several years and have now come together as a group to conquer the music industry.